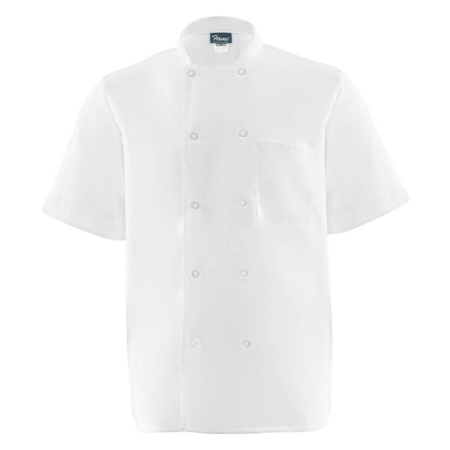 Chef coats and cook shirts need to be designed for appearance and for the job. 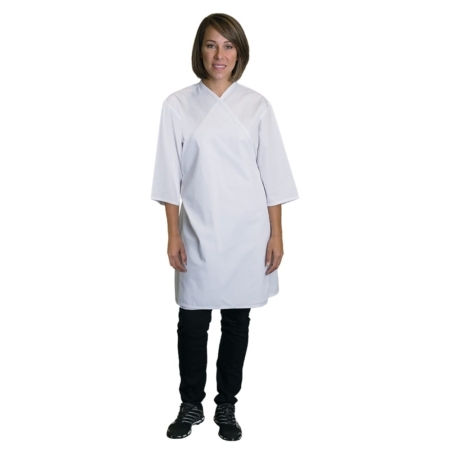 Aprons and Smocks offers quality chef coats and cook shirts with features for customization, color selection, sizes ranging from XS to 5XL, and bulk order discounts. A chef coat is more than a uniform—it’s a well-designed piece of equipment. 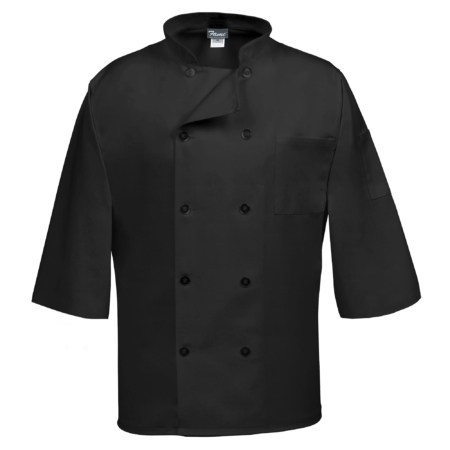 Chef coats have safety features—they’ve got long sleeves to protect the chef’s arms from burns, double breasting to offer protection from hot oil or grease spills and button styles that permit quick removal in an emergency. 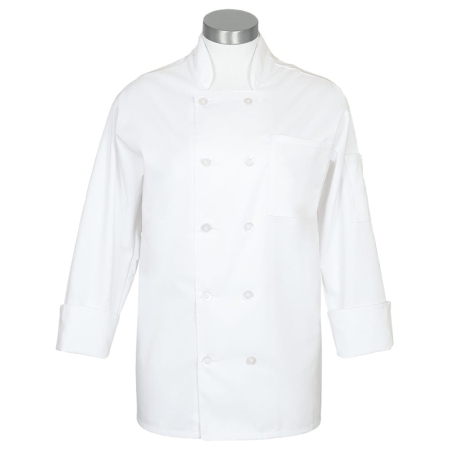 Chef coats have comfort features—the white fabrics reflects heat. They’re also designed for appearance—double buttons mean the coat flaps can be reversed to hide stains. 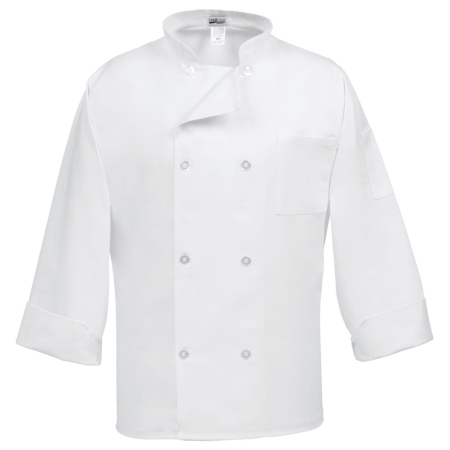 These Chef Coats are built for comfort and durability, have a longer body than many chef coats on the market, feature a left chest pocket and a thermometer pocket, are available in white or black (to hide stains), and are made of 65/35 poly cotton blend in durable 7 ounce weight fabric. 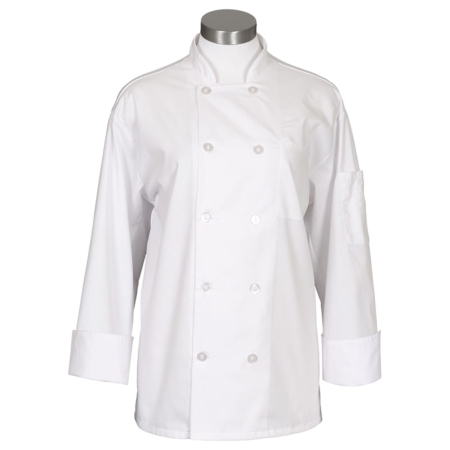 Contact us to place your order for unisex chef coats. 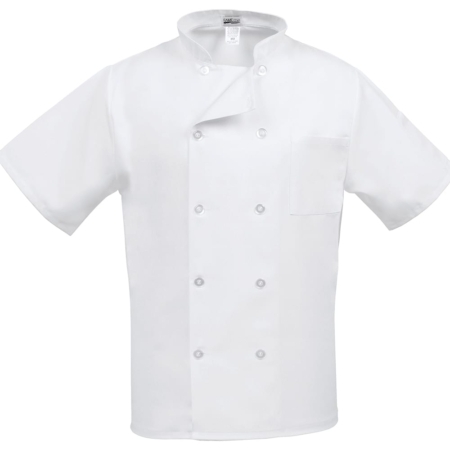 Find out what others are saying about us in our testimonials.